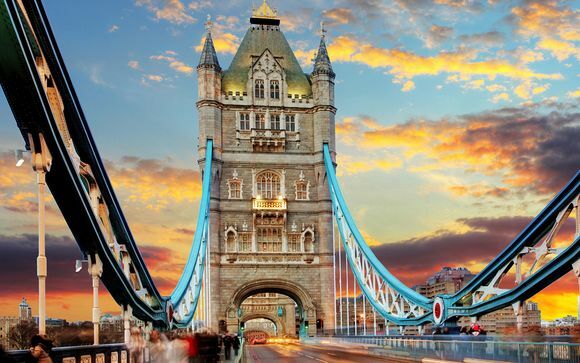 Discover the thrills of England's capital with this superb stay in leafy North West London. You will enjoy having easy access to all of the famous sights - the West End can be reached in 30 minutes. The hotel oozes traditional charm and the staff are on-hand to maximise your comfort. Our members will enjoy an upgrade to a supremely spacious Executive Room. London's mix of grandeur, history, style and culture seems to get more enticing by the year. 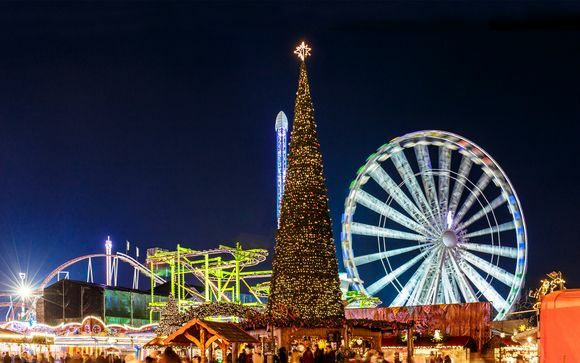 It charms with leafy Royal parks, free world-class art galleries and delightful pubs; it intrigues with ancient streets and grand architecture, and excites with the neon-lit West End, designer shopping and an innovative dining scene that has become one of the richest in the world. Ideally situated, the four-star Clayton Crown Hotel London has good access to Luton Airport, Wembley Stadium and Brent Cross Shopping Centre. Positioned just a short walk from both Cricklewood rail station and Willesden Green tube station, where Baker Street, Bond Street and Green Park are just a few stops away. Kilburn Underground Station is also a short walk away. London's West End can be reached in 30 minutes by public transport. Clayton Crown Hotel London offers stylish and spacious rooms, including contemporary suites that feature an LCD TV, CD player and spacious seating area. Each room has tea/coffee facilities and individual air conditioning, and complimentary weekday newspapers are available at reception. The hotel also has a full leisure facility with an indoor pool. 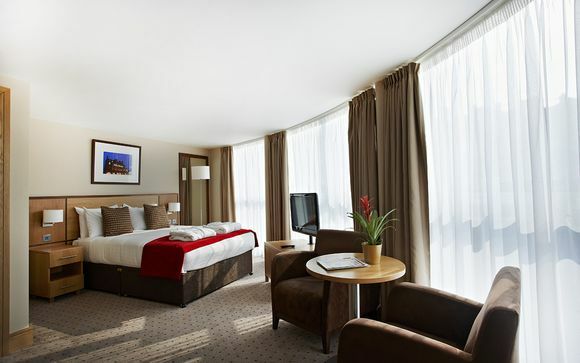 Stay in one of the spacious Executive guestrooms at Clayton Crown Hotel London. These Executive Rooms are larger than the Deluxe Rooms, tastefully decorated and have been designed with guests comfort in mind. Step into the contemporary Grill restaurant where you can enjoy a fabulous meal from classic British fusion favourites to speciality charcoal grills that appeal perfectly to both local and international diners. 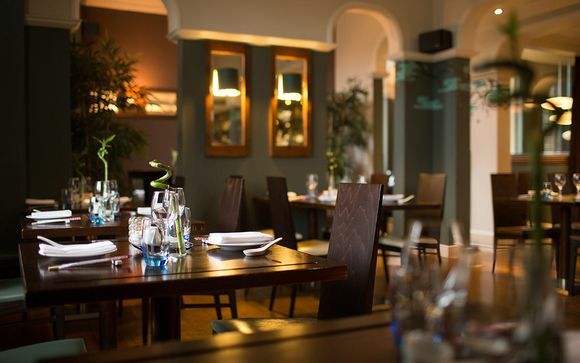 Featuring Chicken Rotisserie, Selection of Grilled Meats & Steaks, Sunday Lunches & Seasonal Menus. Whether your tipple is a pint of the black stuff, a colourful cocktail or a café au lait – you will feel extremely comfortable in The Crown Pub. Be sure to enjoy the perfect glass or pint on your next trip. In addition to the extensive wine and drinks list, you can enjoy some the tastiest bar food in the bar and in the adjacent hotel lobby. When you're not wandering around the bustling city, take some time for yourself - either relaxing in the hotel's indoor pool or working up a sweat in the fitness area. All members will have full access to these services. Transfers: No transfers are included with this offer. 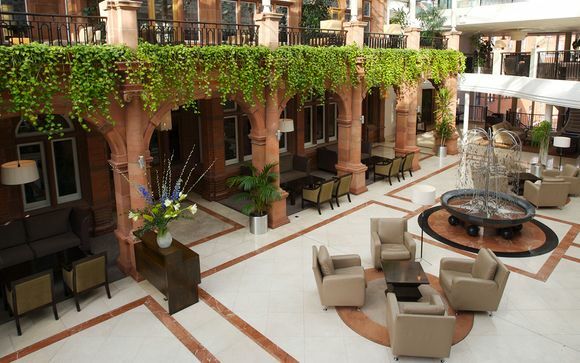 Distance from both Kilburn and Willesden Green tube stations (Jubilee Line, zone 2) to Clayton Crown Hotel: 10 min walk.